The Big Island of Hawaii is the ideal place to spend a vacation. Whether you are looking for action or relaxation, Shell Vacations Club at The Kona Coast Resort II makes for the perfect home base. With stunning accommodations, desirable amenities and a friendly and welcoming staff, every stay here is a memorable one. If you buy a Kona Coast Resort II timeshare, you will be guaranteeing years of exciting vacations for your family. At the superlative Shell Kona Coast Resort II, you can spend their days however you wish. Lounging on the beach, exploring lava caves, watching volcanic eruptions, cycling along some of the most gorgeous terrain anywhere in the world and learning to "hang 10" are just some of the examples. Without even leaving the property, you can enjoy a stimulating workout at the fitness center or luxuriate with a refreshing dip in the two swimming pools. Some guests indulge in a game of volleyball or tennis while others play a round of golf at one of the championship courses. If you are looking for fun in or on the water, then stop by "Splash" to rent a wide variety of top-quality equipment. 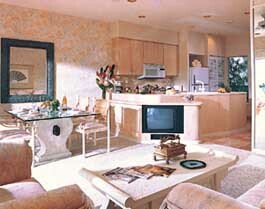 Each spacious villa is decorated with genuine Hawaiian flair. Take advantage of a full kitchen along with a dining area for making and serving delicious meals. Washer and dryers are found in each unit, making it possible for guests to pack light. Private bedrooms offer peace and comfort to guarantee a great night's sleep. Each well-appointed bathroom is designed for luxury and relaxation so you can make the most of your getaway. At Shell Vacations Club at The Kona Coast Resort II guests enjoy fabulous experiences every day. 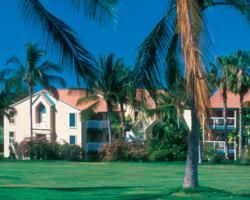 If you want your family to savor many years of exciting vacations in an atmosphere of casual elegance, buy a Kona Coast Resort II timeshare. Contact Shell Vacations Club at The Kona Coast Resort II Specialist Today! This lovely resort has outstanding amenities. Our unit was spacious. The landscaping was luscious, tropical and very well kept. The restaurant has a beautiful view of the ocean and provides very tasty meals. We really enjoyed our time there. Had a great time in Hawaii. Upon checking into the resort we noticed the fresh flowers and green plants in the lobby area. The staff was extremely friendly, I was told it was the Hawaiian culture; everyone was really nice and friendly. The room was perfect for the 4 of us (2 adults and 2 children). The unit was well maintained and included everything we expected. We enjoyed the swimming pools, having a work out room and the different activities on property. The weather was wonderful; even if it was 87 degrees it did not feel that hot or humid. We spent most of our time on property. Shopping and local restaurants were in close proximity and many different places to choose from. Numerous things to do and places to see on the island; we needed a vacation from our vacation when we returned home.